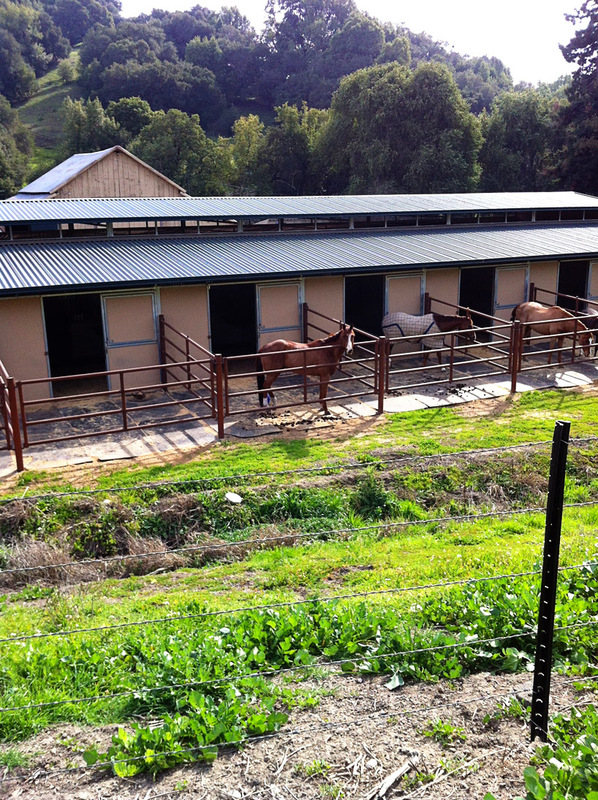 A view looking down from the hill where, once the weather gets a little more consistent, Wilbur can spend long days in turnout. For now he just stares wistfully. 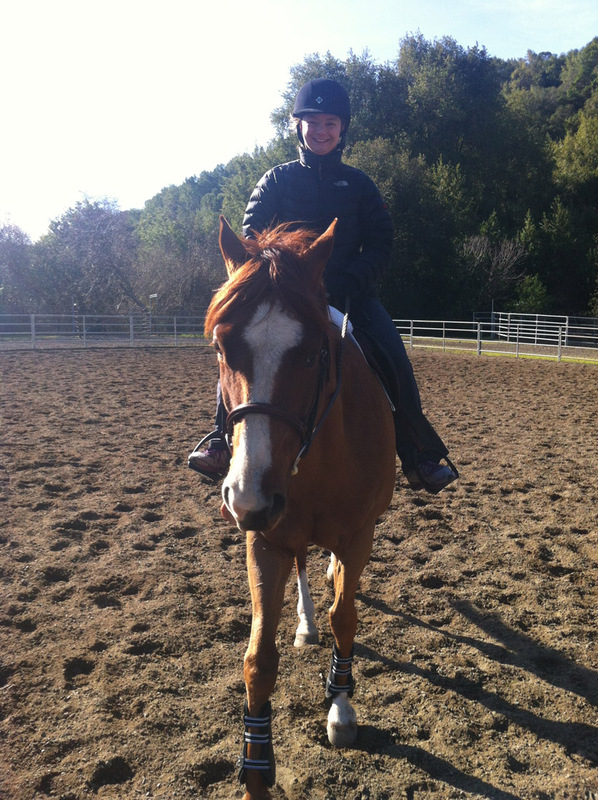 It was such a warm Saturday and we had a great ride. 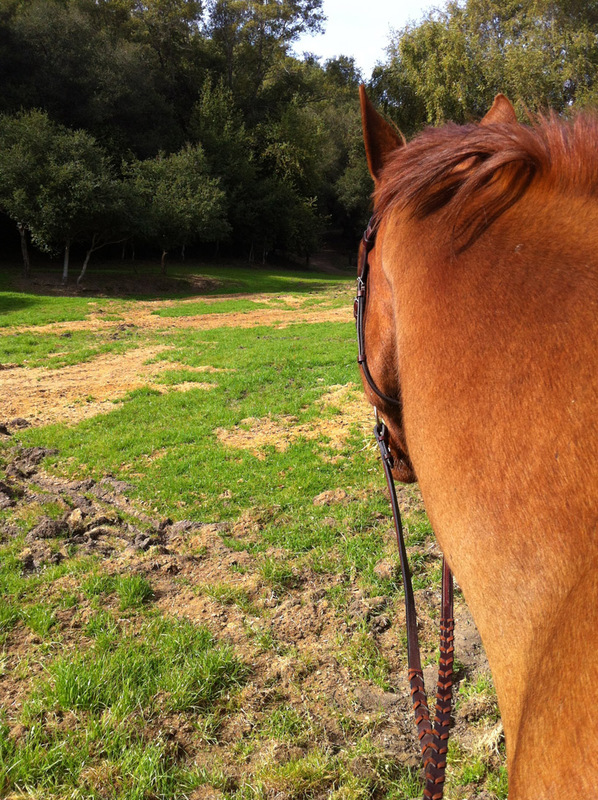 We walked together (he's not the most sure footed of creatures yet) on a short trail over to the cross country course. 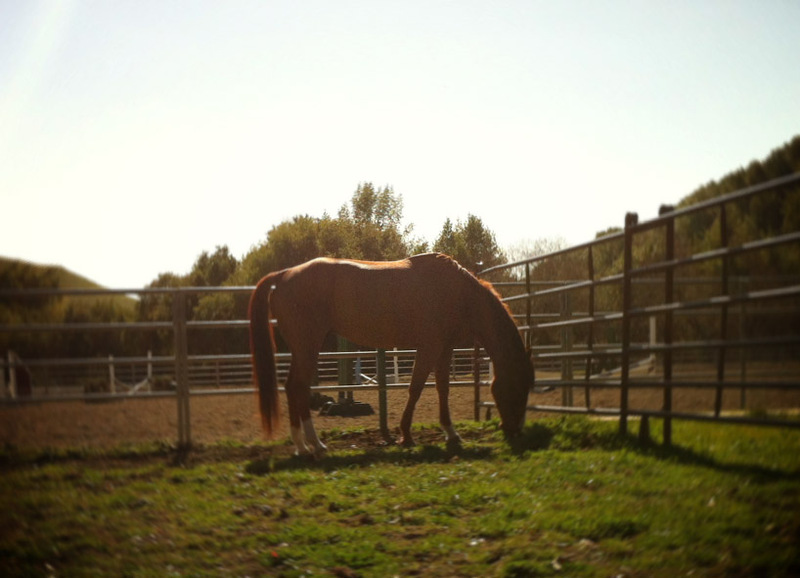 Neither of us had seen so much grass in awhile and Wilbur made short work of it. Paul has been getting some saddle sores from riding in his corduroys. 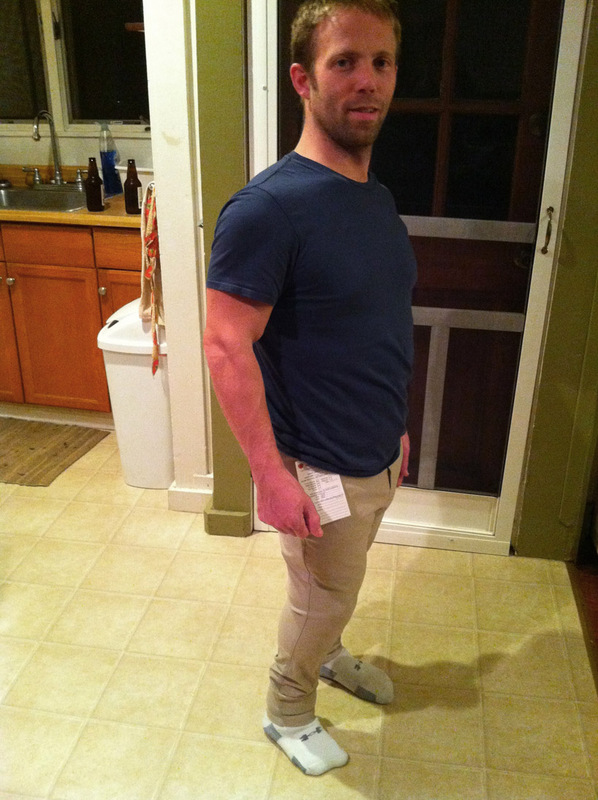 I managed to grab him some sample breeches and even convinced him to try them on. At home. 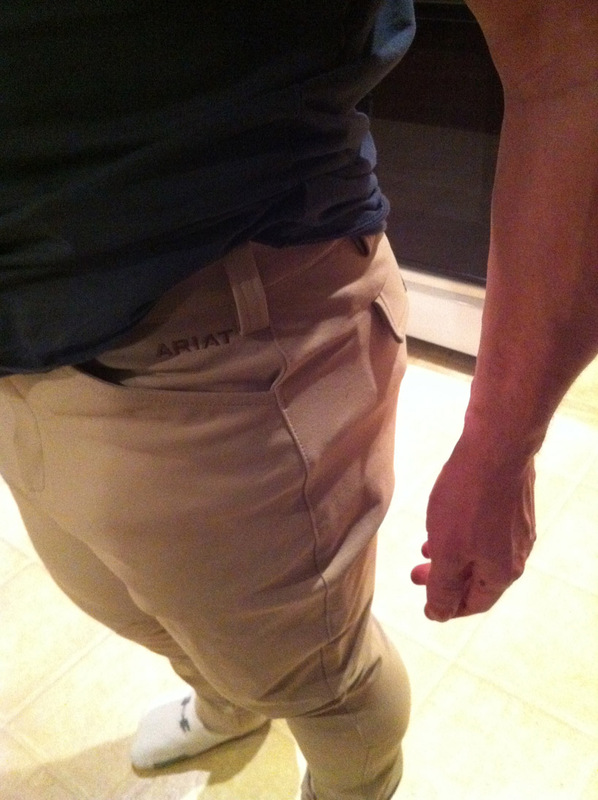 Let's all agree- men look good in breeches. There is not a better way to spend a Sunday. 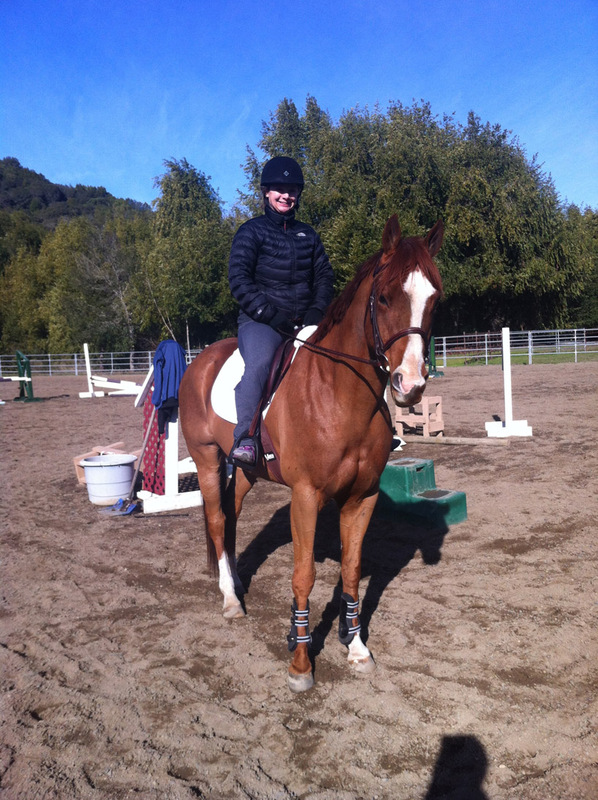 Bestie Nicole is allergic to almost everything on the planet so when she offered to take a ton of Benadryl and come to the barn during her recent visit I offered up a ride on Wilbur as additional incentive. It took a little cajoling but in our next chat she said that she'd "like to take Wilbur for a whirl." And whirl they did. Paul and I finally had a chance to ride together on Friday night. I say finally because I'm often too lazy to get on so I just lead Wilbur around. 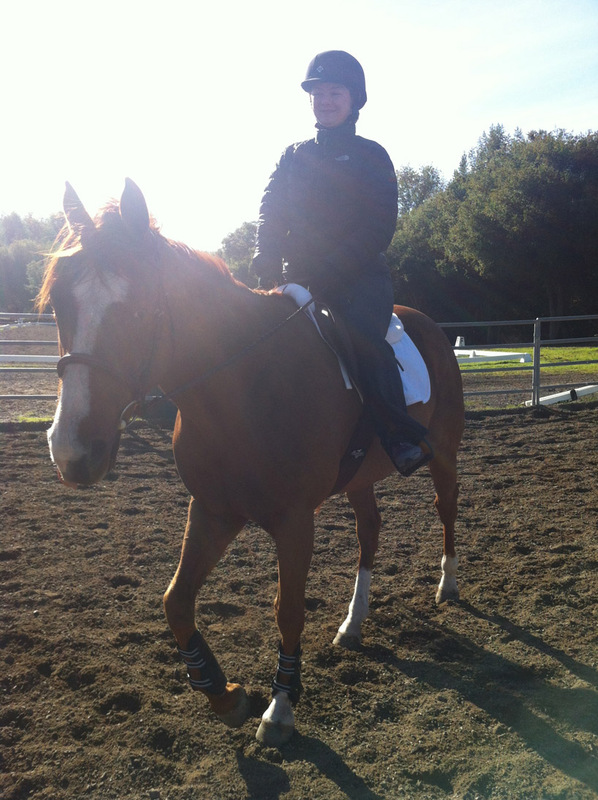 Paul and Soda did a ton of trotting! 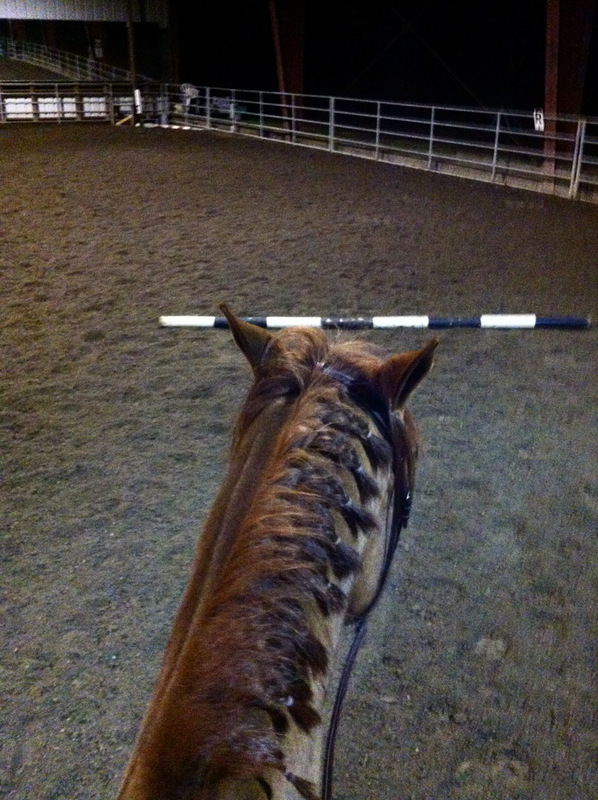 Tonight we conquered the canter pole. 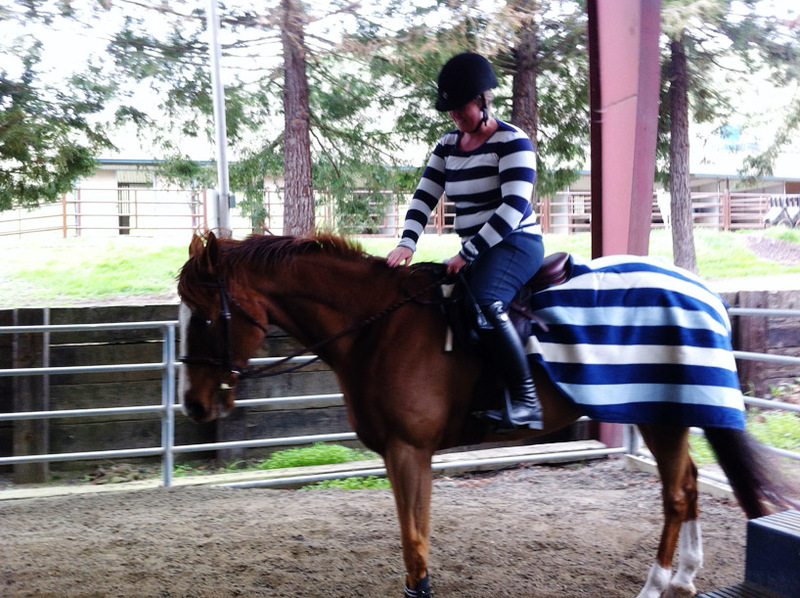 I had buzzed through a line or two in my lesson with Jen a few weeks ago but hadn't attempted since. 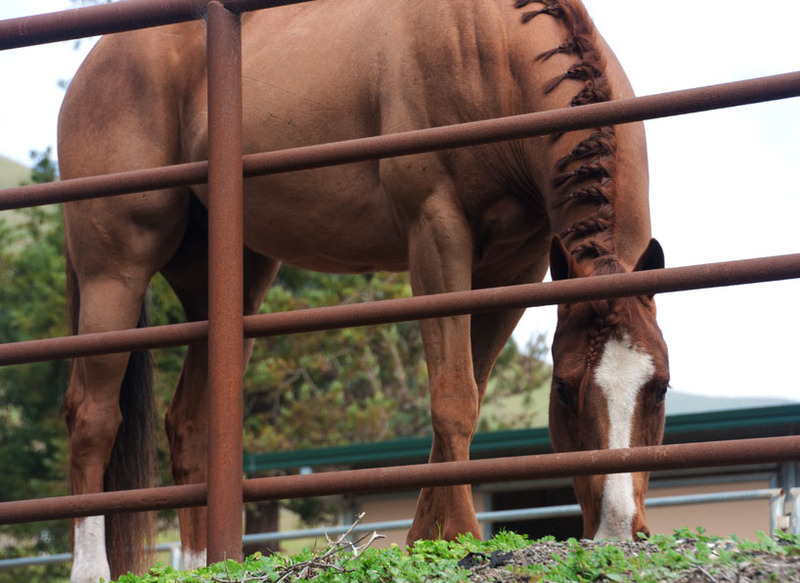 Wilbur was a little heavy on his front end in the canter but I think he was just being a goof, playing around. What surprised me was the length of his stride- I thought we were coming in a little long both trips on the left lead but he just stretched a little and got the stride. 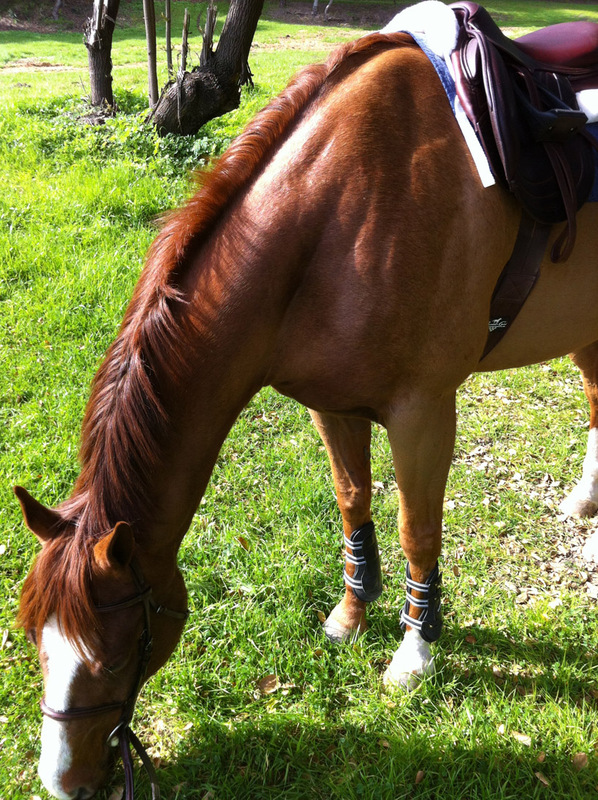 It gives me confidence that he'll be able to hit the distances at the shows. Super boy tonight! 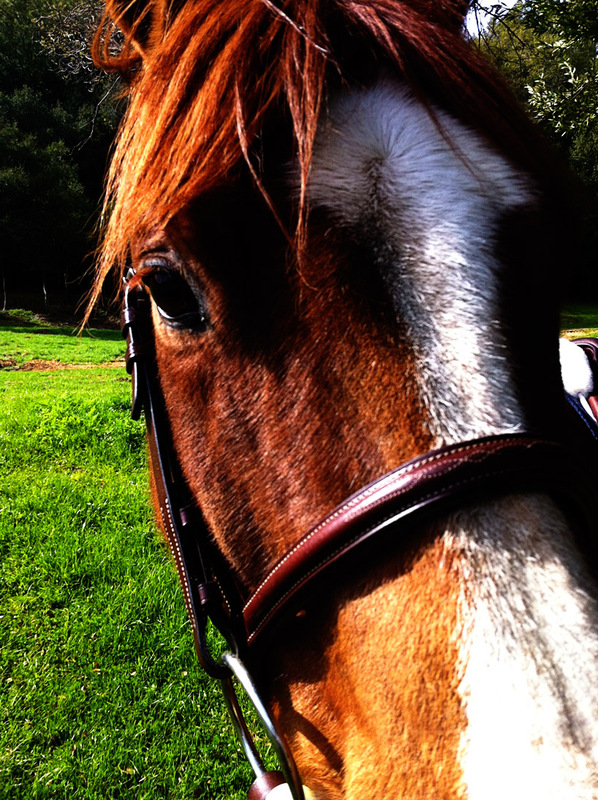 I read quite a few horse blogs and have hoped for the day when I would have my own horse to blog about. That day has finally arrived! Welcome to Wilbur & Emily!